Celebrities are just like us when it comes to embarrassing moments. But, for them, it may happen on a red carpet! Our stars are always distracted by the photographers and reporters when they are on the red carpet. This disturbance often leads to some embarrassing moments. We cannot blame our superstars for this because the red carpets are always super crazy and totally unpredictable! Here are some awkward ‘oops’ moments which prove that red carpet isn’t all glitz and glamour. These photos are hilarious! Don’t forget to tell us about your favorite one. Whose idea was it to cover steps with the red carpet? Not only did it take Lee Min Ho down, but Han Jimin was another casualty. She didn't meat to create a comedic moment intentionally but she still managed to get plenty of laughs, like when she fell on the red carpet at the 2014 Oscars. Heels strike once again only this time the heels win and Hani ends up on the ground. 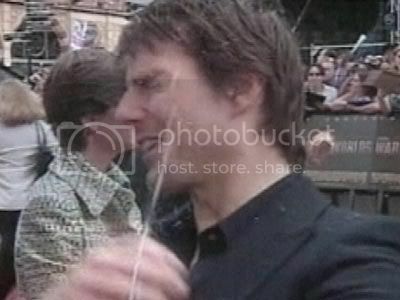 Tom Cruise was squirted with water at the War of the Worlds premiere in London. 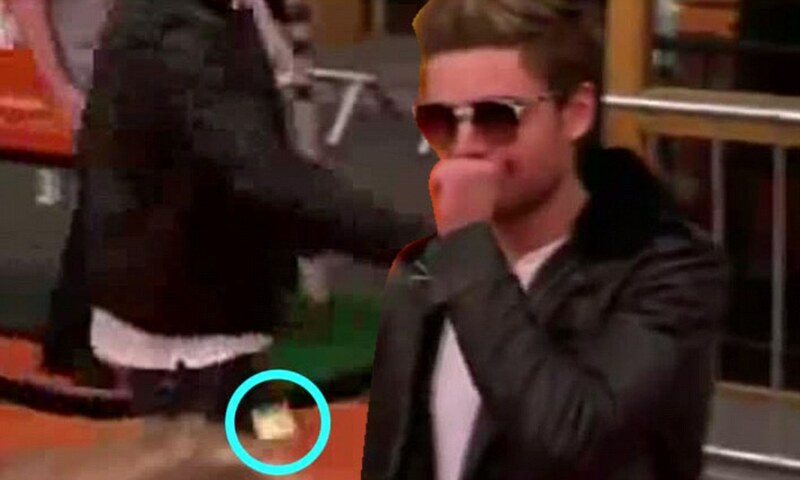 When Zac Efron accidentally pulls out a condom and drops it on the red carpet on the premiere of The Lorax's in Madrid. Kim Kardashian gets flour-bombed at her True Reflection fragrance launch in LA. Sacha Baron Cohen spills ashes from an urn marked 'Kim Jong II' all over presenter Ryan Seacrest on the red carpet at the 2012 Academy Awards ending up ruining his suit. That awkward moment when Julia Roberts flashes an unshaven armpit while waving at fans at the Notting Hill premiere in London back in 1999. Its been more than a decade ago, but not many people have forgotten Jessica Alba's fall. Wearing a pair of jeans and knee-high boots, the actress laughed off her misstep. In 2013, Emma Thompson was participating in her Hand and Footprint Ceremony at the TLC Chinese Theatre in Los Angeles when she took a spill. The actress lost her balance and fell over on to the red carpet. A female fan of Hugh Grant handcuffs herself, in Amsterdam. The police were called to remove them. Geri Halliwell accidentally flashes following a gust of wind on the red carpet at the BAFTA Children's Awards in London.